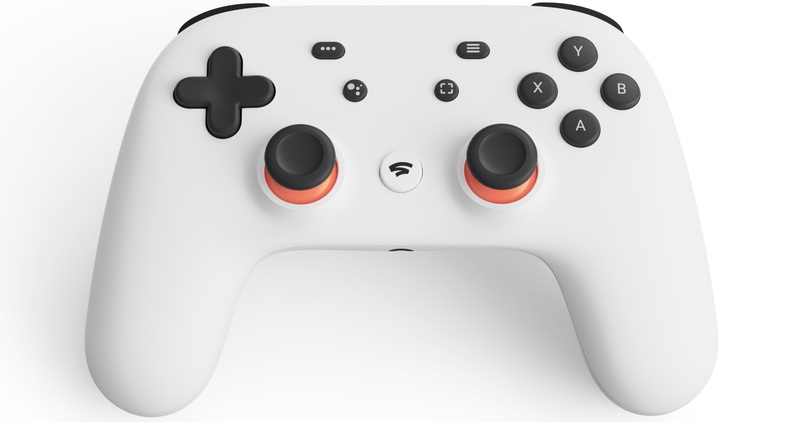 Today, Google announced Stadia, the name given to its cloud-based gaming platform, and fortunately, it has nothing to do with any other platform of this style that we have seen because Google is one step ahead to offer a full gaming experience. Finally, the company has not announced any console, so to play we need a desktop or laptop, smartphone, tablet or a Smart TV. Any of these devices will become our console, being the best of all that we can move from the computer to the mobile, or to the living room television, and the game will continue where we left off, and all with a direct access. Actually, the only hardware required will be the controller – if we want – but it would be ideal to reduce the latency. The Stadia controller presents a scheme of buttons similar to the control of the PlayStation consoles, but this controller incorporates a WiFi connectivity that will allow you to connect directly with the servers of Google (which helps reduce latency), in addition to control the device we want to play and implement Google Assistant. At least on PC you can continue using the mouse and keyboard without problems. At its launch, Stadia will not only play the games on 1080p @ 60 FPS resolution, but also allows you to enjoy games on 4K @ 60 FPS resolution, and if for 1080p we needed 25 Mbps as a recommended Internet connection, so you can imagine internet connection for 4K, it will only be accessible for users with fiber optic connections, not to mention that the platform is prepared for the future to offer resolutions 8K @ 120 FPS, we imagine that this last example could be taken as a Premium account to part, as if it was a Netflix not to mention better to have the already common fiber connections of 300 or 600 Mbps in our country. Obviously, all compatible with the HDR. Another advantage is that, for example, we can enjoy the 4K @ 60 FPS while the server will be responsible for transferring this gameplay live to Google at the same resolution and refresh rate. As far as power is concerned, at the hardware level, only AMD has been cited, so we understand that the servers are using an AMD CPU and GPU. These servers employ custom processors under the x86 architecture at a frequency of 2.70 GHz with support for the AVX2 extension, although they do not indicate the cores and threads, but they do have 9.5 MB of level 2 and 3 caches (L2 and L3) next to 16 GB of RAM. The AMD graphics card is powered with 3584 Stream Processors and 16 GB of HBM2 memory that yields a computational power of 10.7 TFLOPs with a bandwidth of 484 GB / s, in other words, a slightly better version of Radeon RX Vega 56. Obviously, another of the main advantages is that everything is hosted on Cloud servers, with no possibility of modifying anything, Google promised that playing online with Stadia will eliminate 100 percent the presence of cheaters. Also you will be able to enjoy games in cross-play platform so we can play game against other players from another platform and obviously, here we will have to discuss things, such as that users who use Stadia on PC will have the advantage of using a mouse and keyboard. Unfortunately, so far, we could consider Google Stadia a much more profitable platform for gamers than the PC or console, but they forgot to mention the only thing that matter to most of us, the price. So we have to wait for its price and catalog of games.